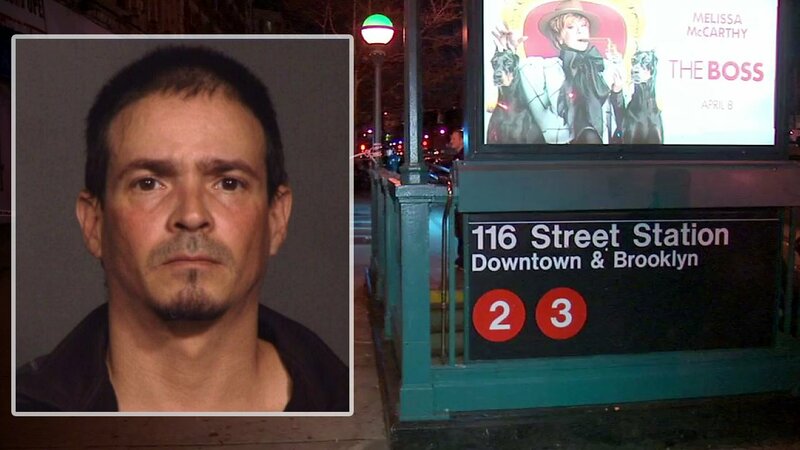 HARLEM, Manhattan -- Authorities said a 48-year-old man is facing charges in a stabbing that left another man dead in March during a fight in a Manhattan subway station. Julio Velazquez was arrested Tuesday on charges of murder and criminal possession of a weapon in the March 16 killing of 53-year-old Herbert Burgess. Investigators said Burgess was selling MetroCard swipes outside of a subway station at 116th Street and Lenox Avenue. Burgess took $1 from the suspect's daughter and police said Velazquez stabbed him once in the torso. The victim stumbled onto the No. 2 subway train and rode it one stop before being found and taken to a hospital. He was later pronounced dead. It's unclear if Velazquez has an attorney who could comment on the charges.